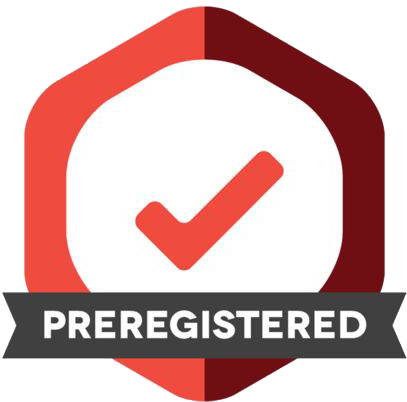 As you may already know, the Preregistration Challenge is our ongoing education campaign to encourage preregistration as a practice of increased rigor and transparency in research. One thousand researchers will win $1,000 prizes for publishing the results of preregistered work. This competition is designed to raise awareness of preregistration, its benefits to researchers and other stakeholders, and to encourage you to try it out for yourself. We love giving out prizes to support better, more transparent science. We built in some safeguards in ensure the competition is fair, not easily gamed, and is in compliance with relevant laws. The first of those safeguards was our review system. In order to verify that each preregistration includes a complete statistical analysis plan and meets our eligibility requirements (see the complete document here), each preregistration is checked before being made into a read-only registration on the OSF. Our review confirms that each proposed model includes all relevant predictors, outcome variables, and covariates, and that each of those variables are clearly defined. We read each one and often help to improve the submitted plans in the process. When we started out, we gave ourselves 10 days to review each preregistration. Fortunately, we have improved our internal system and can now guarantee that any preregistration submitted to the competition can be reviewed within 2 business days. This quick turnaround should help your research get started more quickly while still benefitting from a thorough review. The second safeguard is a list of eligible journals that are taking concrete steps toward improving science by making it more transparent. They are all signatories to the Transparency and Openness Promotion (TOP) Guidelines; some conduct peer review before results are known (“Registered Reports”), or issue Open Practice Badges to reward transparency. This list now contains more than 2,900 eligible journals, which is an incredible demonstration of the move toward more open and rigorous science. One final reason to give preregistration a try is the fact that the National Institute of Health now encourages researchers to cite a preregistration as an interim research product (along with preprints). So go ahead, demonstrate that your funded work is underway and will be free of bias by including a preregistration in your next annual report! Fast reviews, more journals, and new funder policies are all good reasons to preregister, so why not do it right now?